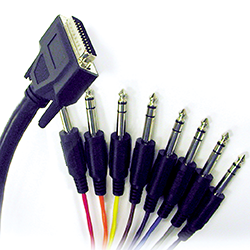 This Hear Back analog cable is a DB-25 male to eight 1/4" TRS phone plugs. Certified for all Hear Back interconnections. May be used in other applications, whenever DA-88 style cables are required.